In honor of their 75th year of existence, the Football Writers Association of America (FWAA) released their 75th Anniversary All-America team as voted on by its active members on Thursday morning. In total, the list consists of 75 of the best college football players since the 1941 season broken down into first-team, second-team, and third-team units. Anytime a team such as this is put together, there will be several deserving players who get slighted. As FWAA 75th All-America Committee chairman Kirk Bohls put it, compiling a list of the 75 greatest college football players of all-time is nearly impossible. With that being said, there were several deserving players who we feel should have been ‘no-brainer’ selections. 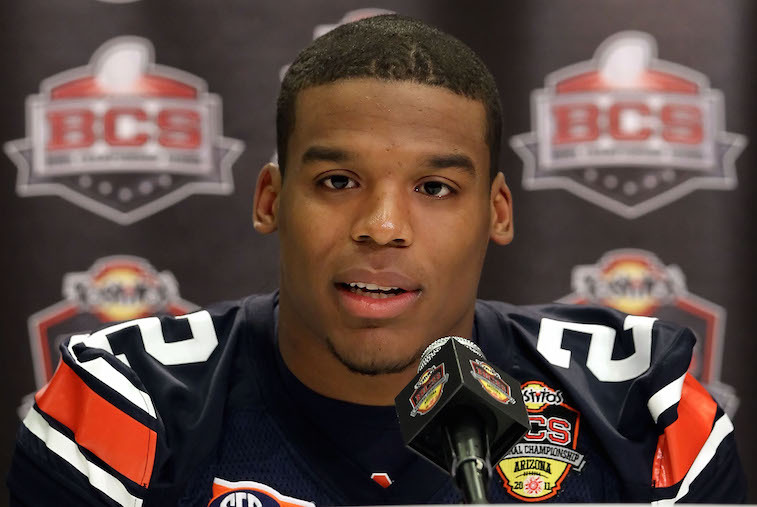 Here is a look at 10 biggest snubs from the FWAA 75th Anniversary All-America team. Sanders wasn’t totally snubbed, as the 1988 Heisman Trophy winner was named to the second-team. Having said that, him not being named a first-team member was, in our opinion, the biggest snub of this entire list. In his final collegiate season, Sanders turned in what was arguably the best single-season performance by a player in college football history. In 1988, it took the lightning quick running back just 11 games (bowl games didn’t count as official statistics at the time) to rush for 2,628 yards and 37 touchdowns. His rushing yardage and rushing touchdown totals both set new NCAA Division-I single-season records that still stand today. Brown, the 1987 Heisman Trophy winner, may not have had the gaudy statistics that other players had, but he still should have landed a spot somewhere on this list. 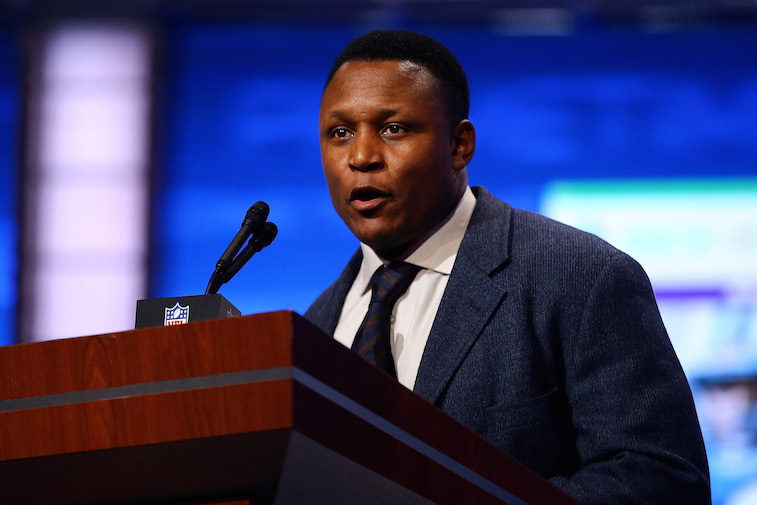 During his Heisman-winning season, Brown played for a Notre Dame team that averaged only 13.8 pass attempts per game, yet the 2015 Pro Football Hall of Fame inductee still managed to post 846 receiving yards. On top of that, he was a game-changer as a kick and punt returner. As the first true wide receiver to win the Heisman Trophy, Brown was absolutely deserving of recognition on this team. The only quarterback we would have put ahead of Newton on this list is former Nebraska great Tommie Frazier. Simply put, the voters really screwed up in leaving Newton off of this team altogether. Boselli was one of the most dominant offensive tackles in college football history. He was named a first-team All-American in 1992, 1993, and 1994, and was inducted into the College Football Hall of Fame in 2014. Yet, for some reason the voting committee felt that there were 12 more-deserving offensive linemen than Boselli for this honor. You can legitimately argue that Leinart wasn’t worthy of being selected over the three quarterbacks on this list. However, there is no arguing the fact that the 2004 Heisman Trophy winner had one of the greatest careers in college football history. 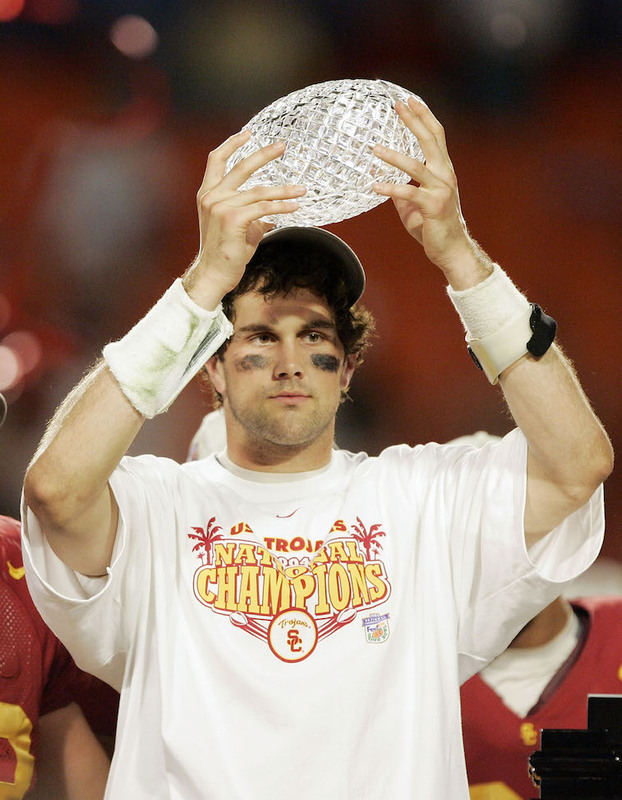 Leinart was so consistently good for the Trojans, and his 37-2 record as a starter have us believing that he should have been selected for this team. The fact that the voting committee left Suggs completely off of this list is laughable. In 2002, he totaled 24 quarterback sacks, which is an unofficial NCAA record, and won the Pac-10 Defensive Player of the Year award, the Outland Trophy, the Lombardi Award, the Bronco Nagurski Award and Ted Hendricks Award – all in one year. All said, Suggs may be the biggest defensive snub from this team. 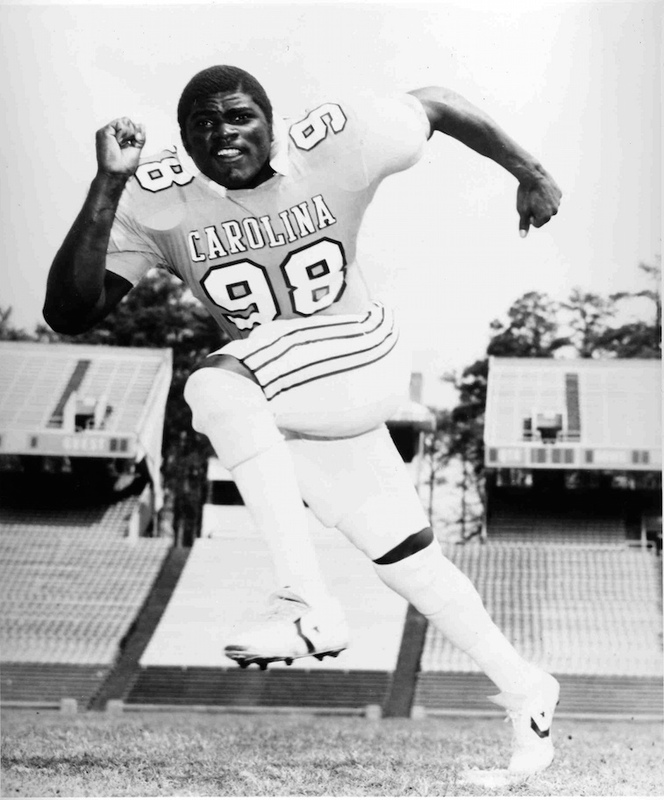 After watching film of Taylor (pictured above) playing for North Carolina in 1980, former New York Giants General Manager George Young was quoted as saying, “I’ve never seen a guy dominate a game like that.” Quarterback sacks weren’t recorded as an official NCAA stat during Taylor’s collegiate career, but according to the North Carolina Athletic Department, “LT” posted 16 sacks and 22 tackles for loss during his final season in Chapel Hill. More importantly, Taylor was one of the main reasons that the Tar Heels finished the 1980 season with an 11-1 record and a No. 8 ranking in the final Associated Press poll. We highly doubt that there were six better linebackers than this guy over the last 75 years. It’s hard to argue against Janikowski as the best kicker in college football history. After all, there is a reason why the Oakland Raiders used a first round pick on to select him in the 2000 NFL Draft. 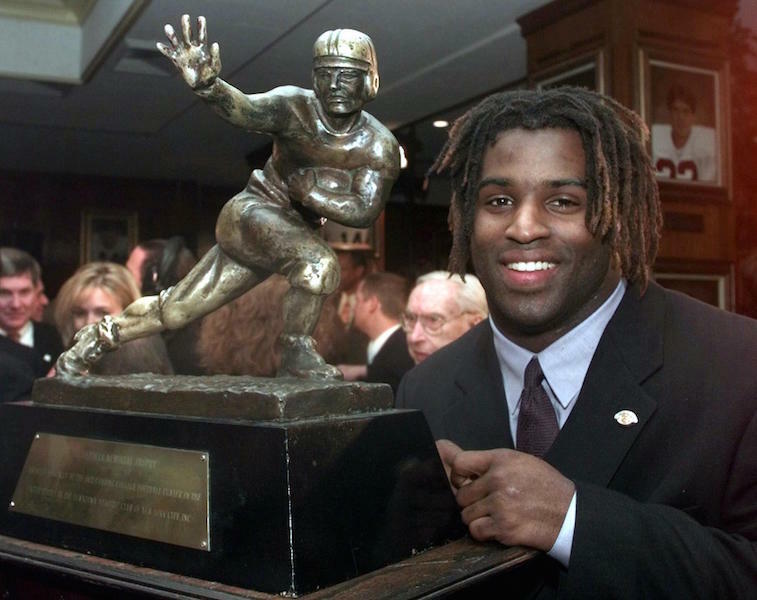 He won the Lou Groza award and was named a consensus All-American in both 1998 and 1999. We don’t have much to say here, other than the fact that he was left off of the team altogether drastically hurts the credibility of the voting committee in our eyes. The six running backs selected ahead of Williams are all worthy of inclusion, but the fact of the matter is none of them finished their college career with more rushing yards than the 1998 Heisman Trophy winner. In fact, when you really break things down, it’s kind of a joke that Williams wasn’t selected for this list. He has the third-most rushing yards and rushing touchdowns in NCAA history, and put up those numbers while playing in one of the most competitive conferences in the country. Truth be told, it’s hard believe that his off-field antics during his NFL career didn’t play a role in Williams’ exclusion from this team. People tend to forget how absolutely dominant Arrington was for the Nittany Lions during his college career. He was named a first-team All-American in 1998 and 1999, and in 1999, he won the Butkus Award, the Bednarik Award, and the Lambert Award. Arrington had a knack for making big-time plays, and was one of the most exciting players we have ever watched. We firmly believe that he was one of the top nine college linebackers of the last 75 years. The full release and list of players can be found here. All statistics courtesy of Sports-Reference.